Small Quilts Just for Fun! Who can’t resist the temptation of adding just one more fat quarter to their stash? Fat Quarter Quilting is a line of fun and easy quilt patterns perfect for that abundant fat quarter collection waiting to be used. Creating these small treasures can be almost as addicting as collecting the fabric! 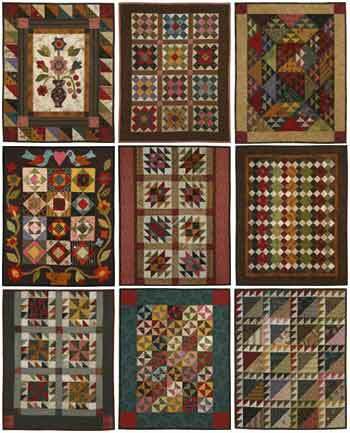 Correlating with the measurement of fat quarters, all quilts finish 16”x 20” when complete. Fat Quarter Quilting: Simply Charming explores the charm and endless design possibilities of scrap quilts reminiscent of yesteryear. Enjoy making one or all!